In the early evening check out the renowned Happy Hour at Calema, which is a perfect way to start your nightout. A great time to meet up at the end of the day and get you in the party mood. 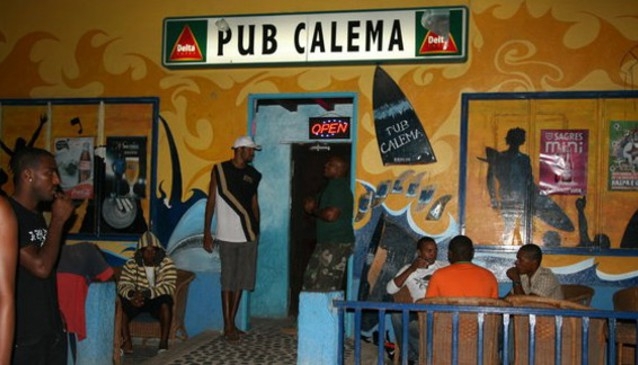 Pub Calema is one of the most popular weekend late night venues for the dance crowd, attracting locals and tourists alike. The party gets going from midnight onwards and continues to around 4am. Residents DJs or occasional live music is guaranteed to get you in the party mood. There is a large standing and seating area to the rear of the venue which acts more like a chill out zone. You can buy food and drinks to refuel your batteries before you venture back onto the dance flooor. And don't forget to sample a cairpirinha made the way you like it at the separate Cairpirinha Bar--next to the main bar. Nice and refreshing after dancing! Come and let loose at Pub Calema!